Adderall is a prescription medication composed of amphetamine and dextroamphetamine. It is primarily used in the treatment of attention deficit hyperactivity disorder (ADHD) and narcolepsy. For individuals with ADHD, this stimulant has been proven to increase attention, focus, and alertness. Adderall is considered a successful therapeutic intervention for these conditions but there has been negative fallout on the drug due to abuse. What is Adderall Addiction Treatment? Available by prescription only, Adderall is made up of amphetamine and dextroamphetamine. These drugs were designed to help people with the sleep disorder narcolepsy and/or attention deficit hyperactivity disorder (ADHD) in adults and children. As a DEA Schedule II stimulant, Adderall has a high abuse potential for addiction. People who are addicted may find it hard to quit, due to the brain damage the drug can cause. Medical detox, paired with therapy, can help soothe physical distress and boost the chances of a complete recovery. At the neurological level, Adderall binds to norepinephrine and dopamine receptors in the brain as well as epinephrine receptors in the adrenal gland. As a result, there is an increase in the volume of “feel-good” chemicals in the brain, which improves the individual’s focus, but causes euphoria. Not surprisingly, Adderall can become addictive. For this reason, Adderall is a Schedule II controlled substance under the Controlled Substances Act. To provide some useful context, other drugs in this category include methamphetamine, opium, cocaine, and oxycodone. Adderall is part of the wave of prescription medications that are being adapted to illicit purposes. Prescription medications fall into three categories: pain relievers (opioids such as oxycodone), sedatives (such as Xanax), and stimulants (such as Adderall). The number of prescribed Adderall users has surged since 2000. From 2002-2006, Adderall sales increased more than 3,000 percent. In 2010, there were 18 million Adderall prescriptions in circulation. Although these prescriptions were lawfully put into the marketplace, their amplified distribution has increased the opportunity for abuse. Euphoric effects may be more likely to occur in users who do not have a need for the drug; hence, Adderall is desirable for “off-label” purposes. 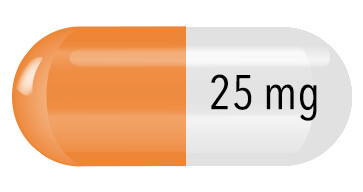 Adderall is distributed in both a tablet and a capsule form. It appears that tablet dosage ranges from 5 mg-30 mg. To maximize the “high” potential, Adderall sometimes abusers crush and snort this stimulant. Some abusers may crush the drug, add water, and use a syringe to inject it. The drug has become particularly popular among college and high school students because of its identification as an academic performance enhancer. However, research does not support this myth about Adderall. Adderall does not usually improve cognitive functioning or the ability to learn in individuals who do not legitimately suffer from ADHD. In fact, as the National Institute for Drug Abuse points out, research shows that students who abuse Adderall, or other prescription stimulants, have lower GPAs compared to students who do not abuse this class of drugs. It is not usually easy to conclusively identify drug abuse in its early stages. Substance abusers are often quite skilled at hiding their behavior, as a way of protecting the drug abuse. Even so, it is usually family members and other concerned individuals who guide a substance abuser into a rehab treatment program. 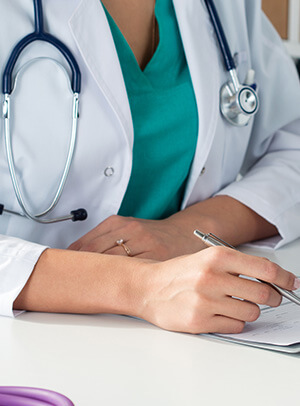 Although a layperson will not have the medical expertise of a doctor, and therefore cannot diagnose substance abuse, there are some ways to determine if it is occurring. Stopping use of Adderall or significantly reducing the familiar dosage may trigger withdrawal symptoms in some individuals. Adderall use, even in prescribed users who completely follow their doctors’ treatment plan, can lead to physical dependence. When the body habituates to Adderall use, it will require more of this drug to achieve the desired effects over time. Withdrawal is also a component of physical dependence. It is important to understand that withdrawal is always a sign of physical dependence but not necessarily addiction. In the event of an addiction, a person will spend a disproportionate amount of time, energy, and resources getting Adderall and taking it, usually to the exclusion of meeting work, family, personal, or school obligations. Adderall abuse affects individuals differently, but it presents a significant threat to one’s physical health and mental wellbeing. The accessibility of this drug opens the door to a person self-escalating the abuse if recovery treatment is not sought. While there is ample medical coverage about the negative consequences of Adderall abuse, harmful myths about this drug persist and manage to recruit new users each year. Consumer awareness of the dangers of Adderall abuse is one of the strongest ways to prevent addiction. From 2005-2011, emergency room visits tripled for Americans aged 18-34 seeking help for stimulant use (not limited to Adderall but the drug was included). Since 2000, the FDA has issued a citation to every major ADHD pharmaceutical company, including the makers of Adderall for false and misleading advertising. In 2007, there were an estimated 5.6 million monthly ADHD prescriptions Americans in the 20-39 age group. However, by 2012, the amount of prescriptions almost tripled to close to 16 million. Although Adderall abuse occurs across different demographics, college students appear to be at an increased risk. College students have access to Adderall through prescriptions, and as school provides a collegiate environment, it is common for students with prescriptions to share their pills. Yet another dimension to the problem of Adderall on campuses is the perception that this drug is safe, an attitude which is largely based on the drug’s legal manufacture. Personal stories of Adderall addiction abound. Some of the stories end on a positive note, with a person receiving treatment and recovering without any major hitches, but other stories have tragic endings. CBN News covered the story of Richard Fee, a young man who, like one in five college students, tried Adderall in college. Fee, who did not reportedly have ADHD, liked the effects of Adderall and got his own prescription. When Fee moved back home after college, he managed to get two Adderall prescriptions from two different doctors. His parents noticed that their son was very different from the young man who had gone off to college. Fee’s parents shared that their son would stay up for days and then crash. He also appeared to demonstrate paranoid behaviors, such as taping his fingers with scotch tape to avoid leaving his fingerprints on his computer keyboard. Fee’s parents found their son’s behavior alarming. Fee’s parents approached the doctors who prescribed the medication and implored them to stop prescribing it because they feared their son would pass away. Both doctors declined to listen to Fee’s parents and even upped Fee’s dosage (likely because Fee had become physically dependent on Adderall and therefore had built a tolerance). Shortly afterwards, Fee’s parents discovered that their son had committed suicide. Fee’s parents point to their son’s Adderall abuse as the reason for his suicide. Although Fee’s parents discussed with CBN how they cannot bring their son back, they do believe they can help to educate others on the potential disastrous effects of Adderall abuse. The National Institute on Drug Abuse provides extensive information on the main recovery services available to treat drug abuse. Painting the recovery landscape with the broadest strokes, the two main approaches are medication-assisted treatment (MAT) and psychotherapy. While detox can occur on site at a rehab center equipped to provide this service, some recovering persons will detox in a detox facility separate from a rehab center or in a hospitalization program. Both MAT (where applicable) and psychotherapy can be provided within the same treatment program, whether it is inpatient or outpatient. As the Substance Abuse and Mental Health Services Administration discusses, MAT is mainly reserved for treatment of opioid abuse. At present, the FDA has not approved a drug that specifically targets Adderall addiction. Ending Adderall use abruptly is never recommended. According to Mental Health Daily, many Adderall users associate stopping this stimulant with a “crash” that features concentration problems, mood swings, and fatigue. For long-term or heavy Adderall users, the withdrawal process can be severe and present major health hazards. For this reason, a tapering-off approach under medical supervision is recommended. During withdrawal, individuals accustomed to high doses of Adderall may experience paranoia, acute depression, and/or schizophrenia-like symptoms. Among these users, ending Adderall “cold turkey” can lead to cardiac arrest, seizures, and psychosis. An added danger of Adderall withdrawal is that most abusers may be unable to gauge the extent of their physical dependence and may attempt an at-home detox only to encounter severe symptoms. A supervised detox ensures far great safety, as doctors will provide a medical evaluation, and a counselor will do a complete medical intake to assess the level of Adderall in the body. Based on this information, the attending physician(s) will tailor a tapering plan to the specific needs of the individual. During the abstinence maintenance phase, post-detox, recovering Adderall abusers in rehab will receive both individual and group psychotherapy. Each rehab center will have licensed therapists on site who practice a psychotherapy approach in line with the facility’s treatment philosophy. Many treatment centers offer cognitive behavioral therapy (CBT) for the treatment of Adderall abuse. CBT has it earliest roots in treating alcohol abuse, but it was later specifically adapted to the treatment of cocaine abuse. Today, CBT is used to treat addiction to a range of drugs of abuse. A main assumption of CBT is that learning processes play a pivotal role in substance abuse. For instance, a CBT session may explore why drug abusers were motivated to use and then subsequently abuse this drug (whether they had prescriptions or not). Oftentimes, drug abuse starts as a coping strategy, such as a college student trying to handle the pressure of being in an achievement-oriented environment. A CBT counselor can work with a person recovering from Adderall abuse to develop new coping strategies and life skills.CBT can also be used in a group setting. In group psychotherapy, the counselor leads and guides the group, and follows the treatment guidelines of one or more psychotherapy theories, such as CBT. It is important to note that group psychotherapy is distinguished from self-help groups, such as 12-step fellowships. The latter is member-led or self-directed. A therapist does not run a 12-step meeting; the group itself has that responsibility. A rehab program may host 12-step meetings on site or provide transportation to a local group. However, 12-step meetings are independent of rehab centers and a recovering person can always attend; it’s just a matter of finding one (which is often relatively easy). For this reason, 12-step meetings are instrumental to the recovery process after rehab. Known as aftercare, when the intensive phase of rehab at a treatment center ends, a recovering person is strongly encouraged to engage a patchwork of supportive services. As the National Institute on Drug Abuse found, the relapse rate for addiction is 40-60 percent. For this reason, it is especially important for recovering individuals to have an effective aftercare plan. In addition to helping prevent relapse, an aftercare plan can also provide self-empowerment tools that support a person in a new drug-free direction in life. The best practice is to engage as many services as possible, and to make the most of each aftercare opportunity. For instance, rather than simply participating in a 12-step program, such as Narcotics Anonymous, it is extremely useful to work with a sponsor. Costs are never prohibitive regarding 12-step fellowships because they are usually donation based (note, both Alcoholics Anonymous and Narcotics Anonymous have bylaws that require membership to be donation based). Other services, such as psychotherapy, can most often be paid for through private insurance (a copay may apply) or public insurance (such as Medicaid, and there may not be a copay). A drug rehab counselor will have more information about local aftercare services. But what if you attend a rehab far from home? A local nonprofit or advocacy group dedicated to providing substance abusers with assistance will likely have information. In addition, 12-step meetings are often full of knowledgeable individuals who can provide guidance on local services available to support recovery.